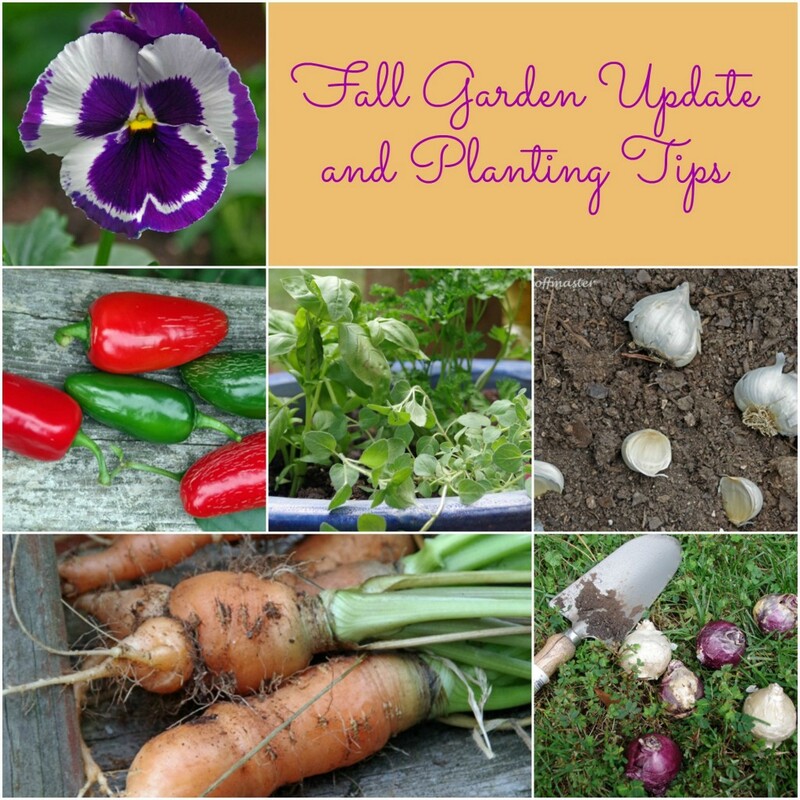 You are here: Home / Gardening / Fall garden update and planting tips! Fall garden update and planting tips! Here in Georgia, we are lucky that our fall season is relatively mild. While we do get a decent freeze and sometimes snow over the winter, we can usually plant a few things in early October for a small fall garden. I have discovered a few things about planting a fall garden, though, that might help you in your own gardening endeavors. 1. Things that need pollinators in order to yield food do not do that well for me in the fall. Most of the pollinators are either hibernating (do bugs do that?) or have decided to leave for more exciting yards than mine in the fall. No matter how beautiful my snow pea plants are in October, I get almost no snow peas due to lack of pollinators. 2. Knowing the length of the plant’s life cycle is vital. I have tried Brussels sprouts, broccoli and cauliflower with no luck. By the time it is cool enough to plant them (late September) they do not have time to grow to full maturity before the weather just gets too cold. Many cool weather crops have up to a 3 month growing season and in December I end up with snow on my broccoli. Read the back of the package before you decide to plant! 3. Plant as close to the house as you can because when it freezes at night you will be dragging sheets around the yard to protect plants from frost. I plant most of my fall things in pots on the patio. 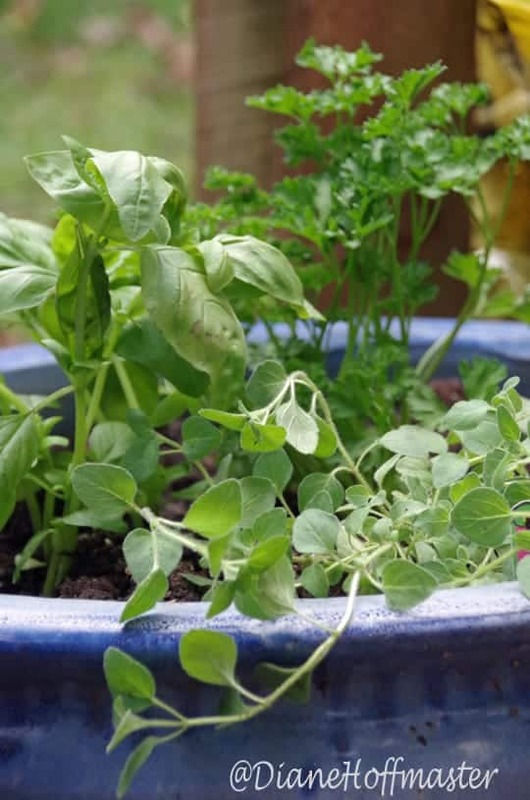 Herbs, edible flowers, a few greens, etc just need a couple good sized pots. 4. I plant closer together in the fall. Plants wont be using as much water, nor will they have as many issues with bugs as garden plants do in the spring and summer. I tend to pack my plants in a little closer to each other in the fall. I also find that things don’t grow quite as vigorously and get as big as they do in the summer so they take up much less space. I went to the nursery today and spent a bit of time out in the yard putting some things into the dirt. I didn’t get too much but I love being able to walk out my back door and pick fresh herbs. I have quite a few things from summer that are still thriving. If there was a black market for tarragon I would be a wealthy woman because that stuff is taking over the garden! It has started flowering now and I really need to start drying it or making some tarragon vinegar! Today I planted more oregano, basil and parsley. I will lose the basil early since it is very sensitive to cold but the parsley will over winter fairly well. I have been wanting to grow garlic for quite some time. 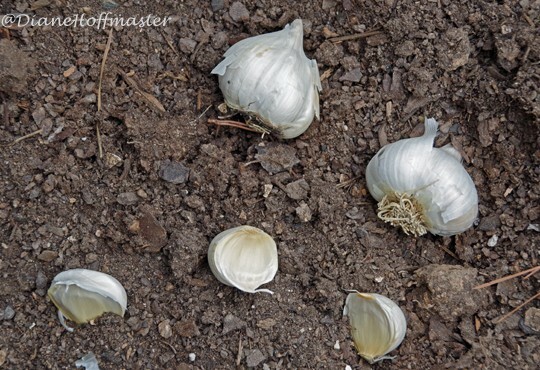 Here in the south you plant garlic in the fall and it overwinters. Come spring it will start making green shoots and by summer (in theory) I should have some good sized heads of garlic to use. I got 3 heads from the nursery (grocery store garlic is often sprayed with things to inhibit sprouting…not good for gardens!). I broke the heads into individual cloves and planted each clove pointy side up. We will see what happens in the spring! I also got some flowers to put in my fall garden. 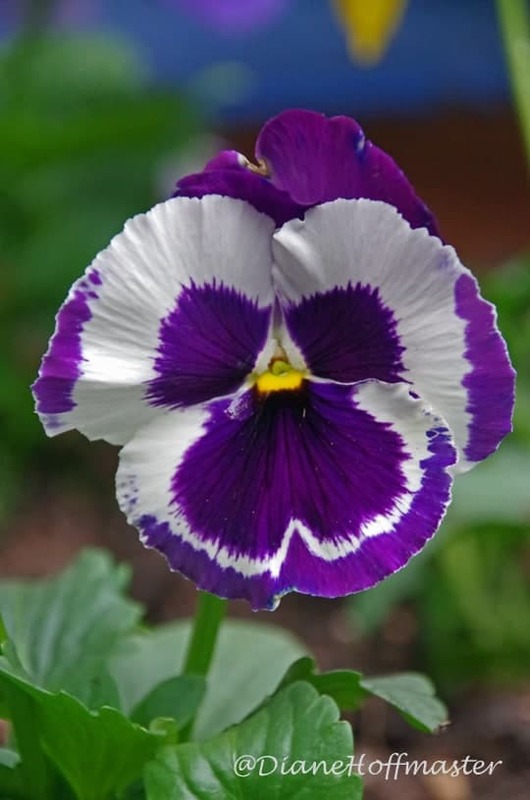 I chose to get pansies since they are tasty on salads and are just very pretty to look at. 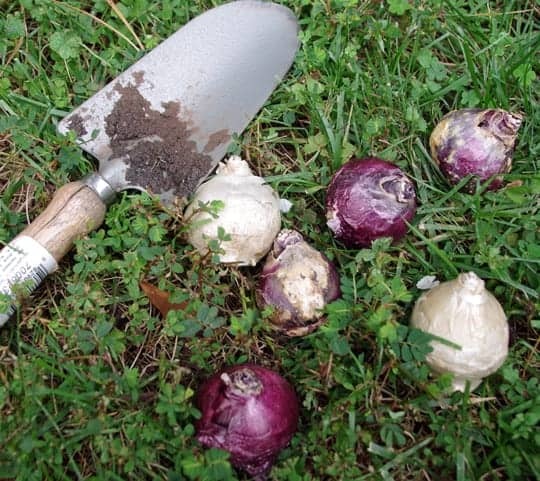 I also planted some hyacinth bulbs. I am hoping come spring that I will have some beautiful hyacinths but I have a feeling a hungry squirrel is going to run off with the bulbs I just planted! I have just about given up on my carrot project. I planted these things in February. I know carrots are slow growing but I should think that 6 months is long enough! 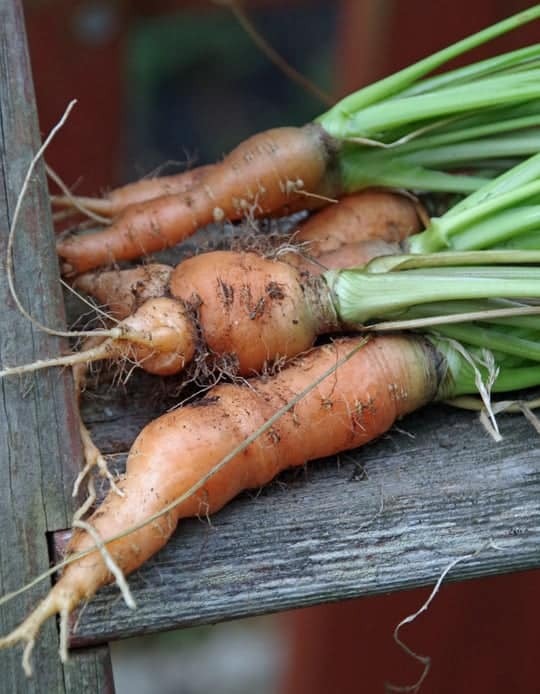 I did buy a smaller variety than usual so I was not expecting them to be huge but most of the carrots still in the dirt are much smaller than the ones shown here! Some of these carrots are very odd looking indeed! Clearly I am not a very good carrot grower and will have to stick to buying my carrots at the grocery store! I still have tons of hot peppers on bushes in the garden. I am just so tired of dehydrating them I don’t even want to see another hot pepper until spring. 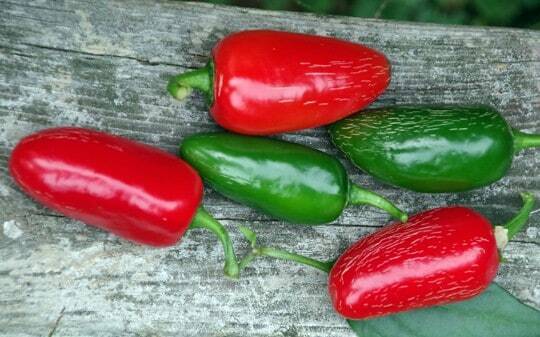 Most of the jalapenos are very mild so I am thinking of making a hot pepper jelly out of them. I need to do a bit of research on that and find an easy recipe. So, right now, my yard is definitely slowing down for the winter but there are a few things that I can still enjoy in my fall garden. Spring is going to require some pretty hard physical labor because most of my garden beds are pretty well shot and need to be replaced. I really need to stop buying wooden garden beds…even if they are cedar. Here in the south wood just cannot hold up to the heat, termites and heavy rains. I need to look into having a load of stones delivered and start lining my garden beds with those! If you are a gardening fan, come follow my gardening board on Pinterest for some inspiration! What’s going on in your fall garden? Follow Diane Hoffmaster’s board Gardening tips and pics! on Pinterest. My fall garden is dead thanks to the hard frost we had :( I can't wait till spring!